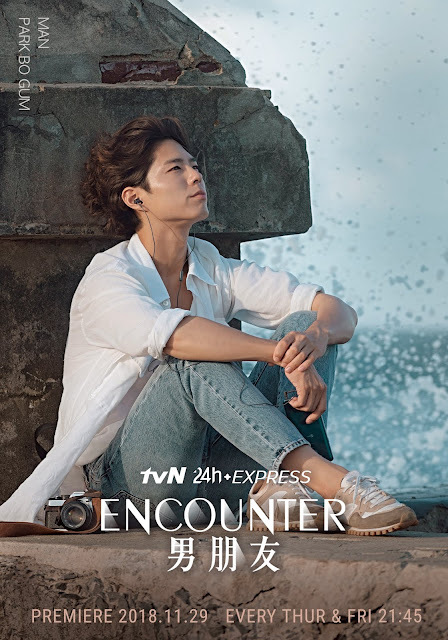 tvN’s latest 24-hour express drama in Asia – Encounter (男朋友) – starring Korea's national sweetheart Song Hye-kyo and heartthrob Park Bo- gum, will premiere expressly on tvN in Singapore, Malaysia and Indonesia from 29 November (Every Thu and Fri) at 21:45 (GMT+8), with previous episode repeats back-to-back at 20:30. With the big success of express dramas like romance comedy What’s Wrong With Secretary Kim and crime action drama Player, tvN expects Encounter will give a breath fresh air to audience with hottest A-listers and story that warms their hearts. Shot in Korea and Cuba, Encounter revolves around Cha Soo-hyun (Song Hye-kyo), an influential politician’s daughter who divorced a man from an “upper-class” wealthy family, and ordinary young man Kim Jin-hyuk (Park Bo-gum). One day, Soo-hyun who is trapped within her family drama encounters Jin-hyuk who leads a simple, happy life. Their worlds clash and a star-crossed romantic love story then begins. Highlights of the drama surround the 11-year age difference between the two actors and their friendship in real life as Park is close friend of Song’s husband Song Joong-ki (宋仲基). Audience are expected to witness impeccable acting by the main cast as well as romantic scenery of Cuba. Encounter is written by Yoo Young-a who wrote fantasy-comedy Because I Love You and one of the highest grossing Korean films of all time in Korea, Miracle in Cell No. 7; and directed by Park Shin-woo who directed Jealousy Incarnate and Hyde Jekyll, Me. It is both the screenwriter and director to work on a drama for tvN, audience can experience “something new” from the duo. Stay tuned! 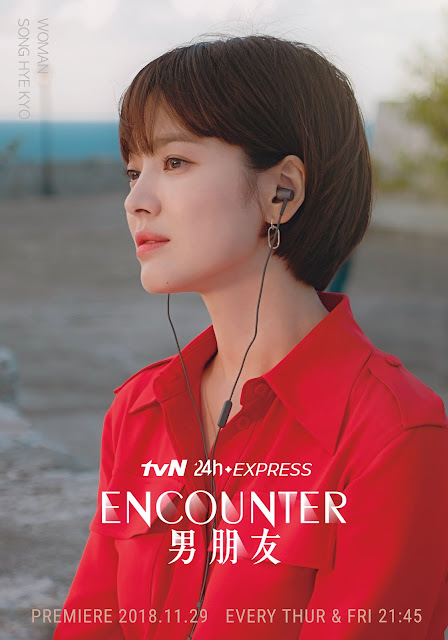 Encounter will premiere expressly on tvN in Singapore, Malaysia and Indonesia from 29 November (Every Thu and Fri) at 21:45 (GMT+8), with previous episode repeats at 20:30, with subtitles in English, Chinese, Bahasa Malaysia and Bahasa Indonesia.